Take the narrow road out of Milau and if you can keep your eyes away from the precipitous drops on the hair bends, you can focus on the superb views of the Milau viaduct on the other side of the valley. 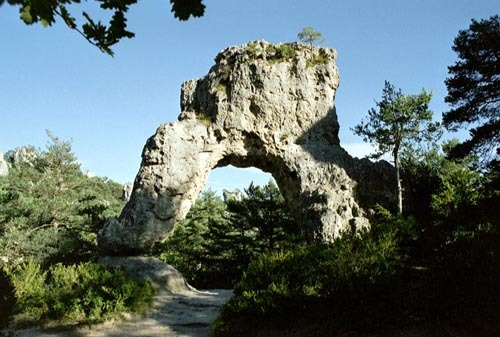 Montpelier le Vieux is an amazing park with five trails to explore leading you between carved natural sculptures over limestone outcrops over a large section of countryside. The trails are fairly demanding and definitely not suitable for those with walking difficulties or with buggies, but there is a separate tourist trail which takes you to key viewing points.